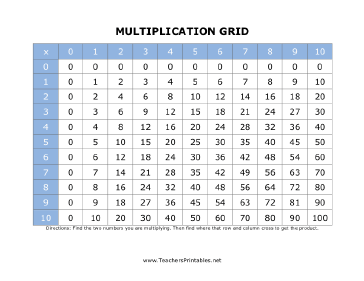 The grid in this free math printable is set up to help students learn basic multiplication. The numbers 0 through 10 are set up on the top row and column. The inside of the grid are the resulting products of multiplying each number by another.